3160S- Steel TRX-250R/X, TRX-300EX, TRX-400EX, TRX-450R. 520 Chain. 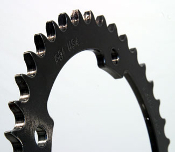 Our Products >> Steel Rear Sprockets, USA >> 3160S- Steel, TRX-250R/X, TRX-300EX, TRX-400EX, TRX-450R. 520. 3160S- Steel, TRX-250R/X, TRX-300EX, TRX-400EX, TRX-450R. 520.